Now is your chance to take advantage of incredible savings with this offer from Village Green Network! This week only — get 30 e-books for only $39 – most of which are new and just launching with this bundle! That’s less than $1.50 per e-book — a savings of over 90% on a bundle values at over $650! Village Green Network Premium members save an additional 25% and pay only $29. Download all 30 e-books now for this low price and read them at your leisure — on your Kindle, iPad, iPhone or computer. Sale Ends on Tuesday Sept 10, 2013 at midnight Pacific. Learn more about each book. ★★★★★ Next to a book means I reviewed it! 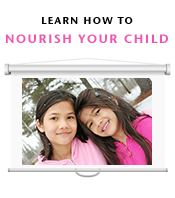 Nourishing Our Children – Timeless Principles for Supporting Learning, Behavior and Health Through Optimal Nutrition. Based on the nutritional principles Dr. Weston A. Price discovered while on his extensive travels, this book covers dietary recommendations for parents before and after conception, problems associated with modern processed foods and vital information about water and fluoride, traditional fats and oils, milk, soy, vital nutrients, and healthy meal preparation. Learn more about each book. This week only — get 30 e-books for only $39 – most of which are new and just launching with this bundle! That’s less than $1.50 per e-book — a savings of over 90%! Village Green Network Premium members save an additional 25% and pay only $29. Purchase now before the offer ends. Download all 30 e-books now for this low price and read them at your leisure — on your Kindle, iPad, iPhone or computer. Sale ends on Tuesday Sept 10, 2013 at midnight Pacific. Nice e-books collection to be read. “Your Custom Homestead” would be wonderful because we are preparing for a move to the country and desire to know more about how to be self-sufficient. We are really excited about a whole new way of living and providing good food for our friends and family! How exciting! I just moved to Portland in order to have an urban homestead of sorts where I will grow vegetables and flowers and keep chickens! What are your homesteading plans? “DIY Non-Toxic Cleaning Recipes” by Heather because I would love to make all of my own cleaning supplies! With two little ones in the house, their little bodies do not need to be exposed to more chemicals than they already do in the everyday life (pollution, etc). And my husband and I don’t need the chemicals either! Alexis, I have downloaded all of the books, looked over many of the recipes and think that is an excellent choice! I would love Feed Your Fertility by Emily Bartlett and Laura Erlich so that I can educate myself more on the best ways to direct my pregnant (and soon to be pregnant patients) in eating for a healthy pregnancy! I would like the DIY cleaning recipes because only a few of the ones I have tried to make work effectively. I would like Real Fit At Any Age. I am almost 68 years old and would like to remain active and vibrant as long as I can! I would love Feed Your Fertility to read up on something else I can do to improve my husband’s and my chance of getting pregnant. Well, I saw several e-books that would be very interesting and helpful to read, but I think the one that would be most beneficial to me right now would be Kick the Weight with Keto. I have tried several weight loss strategies and methods, and have actually been considering the paleo approach since I know some friends who have been successful at it. This concept is fascinating and I’d really like to explore it! NSE is offering, for a limited time in October, the first ever genetic approach to weight loss & fat loss, while maintaining precious lean muscle. This system is based on 30 years of gene expression science. It is 90 day system complete with natural ingredients proven to reset our genes for a more productive metabolism, fat loss, and mindset control. If you would like more information, please email me at agingsolutions1@gmail.com. I would love to have quite a few of them, but the one I would really love to have is From Scratch. The reason I want this one is so I can start cooking without all the chemicals and fillers that they put in our foods. So many good books to choose from. Right now I think I would want to read Culture Your Life. I’ve been fermented like crazy and loving it. I would love to get some new ideas. What have you fermented so far? I would pick the Sleep Solution. I haven’t slept well in over 10 years and need some ideas! I plan to read that one cover to cover! I enjoy The Elliot Homestead blog and “From Scratch” seems like it may be a great go-to book. I’ve been trying to budget for it for several weeks now! I hope you’ll get it! I would love grain free meal plans. I’d love the DIY non-toxic cleaning recipes because the soap recipe of hers is the best I’ve tried so far! I’d love to see the rest! I would love to receive The Sleep Solution “complimentarily” because I purchased the End of Summer eBook Bundle for myself, but I would really like to be able to pass on a copy of The Sleep Solution to my best friend who is an insomniac and addicted to Ambien. I so, so appreciate that you are not sharing the book with your friend and honoring the author’s copyright! I would love to receive ‘Quit PMS’ because I work in a chiropractic clinic and I am always looking for more information so I can teach our clients healthy ways to alleviate this all to common problem. Nourishing our Children. I want to give my kids the best advantage on health. Thanks for this chance. From Scratch by Shaye Elliott of The Elliott Homestead. I enjoy reading Shaye’s blog and would love to have more of her recipes. I want them all!! But I’d have a hard time choosing between Nourishing our Children and Real Fit at Any Age. The first one, nourishing our children, seems perfect as a strong foundation understanding about a healthy lifestyle. I’m old fashioned Nd like to focus on the basics :) but real Fit at Any Age seems perfect because I’m working so hard to make beneficial changes in my household which is all women from 14 months to 75!! I would like The Sleep Solution: End Your Insomnia Naturally. I can’t remember the last time I had a good night’s sleep…it was before I was pregnant with my first…possibly even before I got married (over 10 years ago)…seriously know I need good sleep to heal my body…this would be a great start!!!! “Quit PMS” because every month I have a blinding headache, nausea and often vomiting a few days before my period. I would like “DIY” Non-Toxic Cleaning Recipes” as I am always trying new recipes looking for one that really clean well. Thanks Sandrine! Trina – the book will be emailed to you! I would like several but the one I need most is “Real Food Survival Guide for Busy Moms”. I need help figuring out how to organize, prepare ahead, etc. I would love to have DIY Non-Toxic Cleaning Recipes because i want to make them at home and totally replace the conventional cleaners. I have a 2 yr old daughter so it will be great for her as well. I was saddened to read about your loss, Maria. Grain Free Meal Plans for Fall sounds great! I currently subscribe to Paleo Plan, but the recipes are not kid-friendly (especially breakfast & lunch) and the lists are based on a 2 person household. I’d love to try something designed for the whole family. “Nourishing Our Children” because children are our future and it’s no greater joy, then see them grow healthy and happy. I would like Get Your Fats Straight. Or the Homestead one. Why? In order to qualify for the giveaway, we ask that you share the reason with us! I would love Culture Your Life because I started making my own Kefir and Kombucha this year. I want to start making different things using these instead of just drinking them. thanks! Gluten-free Vegetarian or the Sleep Solution! After much experimentation I have finally come to the conclusion that I do best on a lower meat diet. Finding recipes that are gluten free and vegan is difficult! I realize this is a vegetarian and not vegan book, but I’m hoping! As for Sleep Solution, both my mother and I (but especially my mother) suffer from insomnia so this would be incredibly helpful! Thanks for this! I would love the Real Food Survival Guide for Busy Moms! I am about to have baby 2, so the idea of tips and ideas for faster, healthy eating is quite appealing. Thanks! I would love Feed Your Fertility by Emily Bartlett and Laura Erlich. I’m trying to get pregnant now, so this would be great timing! Thank you so much. Wow! So many excellent books to choose from! I wish I could get this bundle, but in lieu of that I would choose Sustainability Starts at Home. I need direction and want to begin living the life I want my children to experience and hopefully embrace. I’ve gotta say, though, that I love the title “Granny Plan”! :) Thanks for all you do! I would love Beyond Broth. We are about to start the GAPS diet and my littles (4 and 2) will not drink bone broth, or the soup that I make with it! I need help!!!! I would love Natural Cocktails because this is one area I feel hamstrung in. “Grain Free Meal Plans for Fal” I need ideas how to eliminate grains from the table. Seriously hard to choose but I think I’d love From Scratch. If I could have two!! :) the survival guide for busy moms, and nourishing our children would be the two … My son is very active in sports with practices and training about 10 hours per week (+school) I’m always worried he’s not getting enough nutrition to support his busy schedule and growing up ( he’s only 9). The Sleep Solution: End Your Insomnia Naturally by Emily Benfit of Butter Believer because I have been using Melatonan and just learned that that is bad! I need to know what to do? I would like to have Sarah Pope’s “Get Your Fats Straight”. I happened upon her blog “healthy home economist” months ago and I followed her recipes and video’s as I escaped the SAD diet. My family is better for it, I admire her passion and efforts and would love to read her book. I’d love to read “pain free.” I’ve been eyeing it for awhile because I hurt my lower back carrying my son a couple years ago, and I’d love to learn how to resolve it naturally. Get your Fats Straight by Sarah Pope, would like to give it to my husband so he can understand a few things that will help me make more changes in our nutrition and lifestyle. A fair number of you aren’t subscribed to this blog as requested, so I felt compelled to choose another recipient, as per the terms of the giveaway. Receive an E-Book, my compliments. 1. Follow this link – http://bit.ly/1a5v59P and choose 1 e-book out of the 30 listed that you’d like to receive complimentary … and share why in the comments there, not here! 2. While there – http://bit.ly/1a5v59P on the side bar under the word “Subscribe”, subscribe to receive an email notification when we publish a new article. I will randomly choose from all qualified entries on Sunday, September 8 at 9:00P PDT and forward the e-book of your choice to you! Trina Voss will receive the e-book of her choice! I’d love to receive DIY non toxic cleaning recipes. With three young children I am trying so hard to reduce their chemical exposure in the home. Thanks! They all look fantastic! I would love new ideas for quick dinners that my family will like. I would enjoy 30 days of simple dinners. I would love to read ‘Feed Your Fertility’ as I’ve been hoping to conceive for many years. Thank you!! Wow, there are so many great ones to choose from! I think the Granny Plan looks really interesting. I love cooking from scratch and would love to be more organized about it :) Thank you!! As of may 2013, I became a certified Holistic Health Coach. I do not have clients at this time. However, my target market is mainly women with fertility issues. I greatly believe food, diet and lifestyle has caused us to have fertility problems. It’s great to learn more. Nourishing Our Children bc im currently pregnant with baby #1! Feeding Your fertility. I’d love to receive this as I want to have more children and know of many women struggling in the fertility area. Your custom homestead by jill winger seems like it may help me on my way to doing as much as i can here at home. Im learning as much as i can and trying it all. DIY Non-Toxic Cleaning Recipes, I am just starting out with homemade cleaning products and would love to get recipes and ideas! I would love Three Weeks to Vitality: The Ultimate Cleanse. As a teenager, I was on birth control that wreaked havoc on my system, and previos fasts and cleanses still have not gotten all of the deprovovera poisons out of my body. I am desperate for a solution. I would like to read DIY non-toxic cleaning recipes, because I am trying to stop using all manufactured cleaning products, but can’t seem to find recipes that actually work. Nutrient-dense meals from scratch in a fraction of the time.